Most commonly used and relatively inexpensive. Magnesium Stearate prevents ingredients from clumping together and from sticking to the tablet punches. It also ensures that tablet formation and ejection can occur with low friction between the solid and die wall. 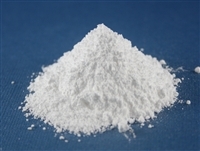 Magnesium Stearate also enhances product flow by reducing interparticulate friction. Not recommended for effervescent tablets.